I thought of you as I cycled sixty kilometres along the beautiful Bow River Trail and Elbow River Trail in Calgary last Sunday. Travelling close to home is my goal this summer. Every time I go on an awesome mini trip I think about sharing it with you and writing Travel Musings. But thinking is as far as I get. Time is a thief. I’ve taken Travel Alberta’s video”Remember to Breathe” seriously. 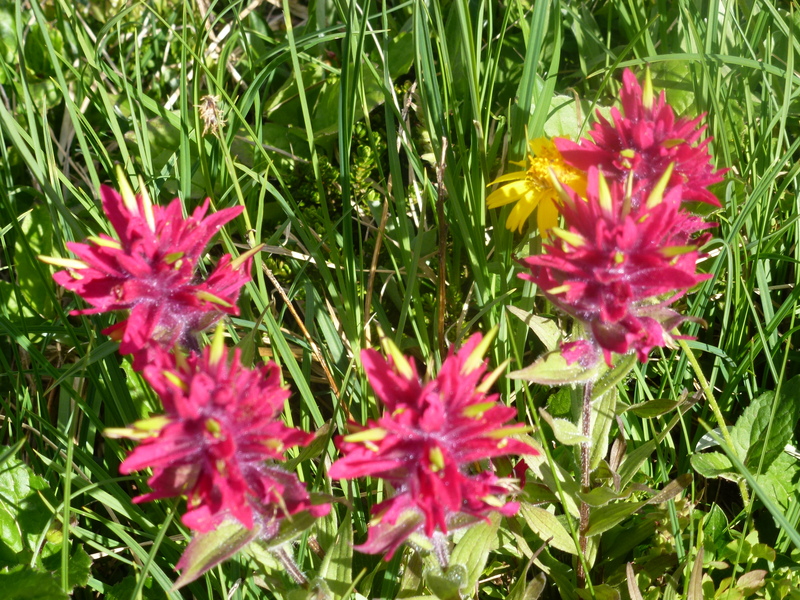 Hiking, cycling, and breathing in Alberta’s summer have helped me balance the rigors of editing and finding a publisher. 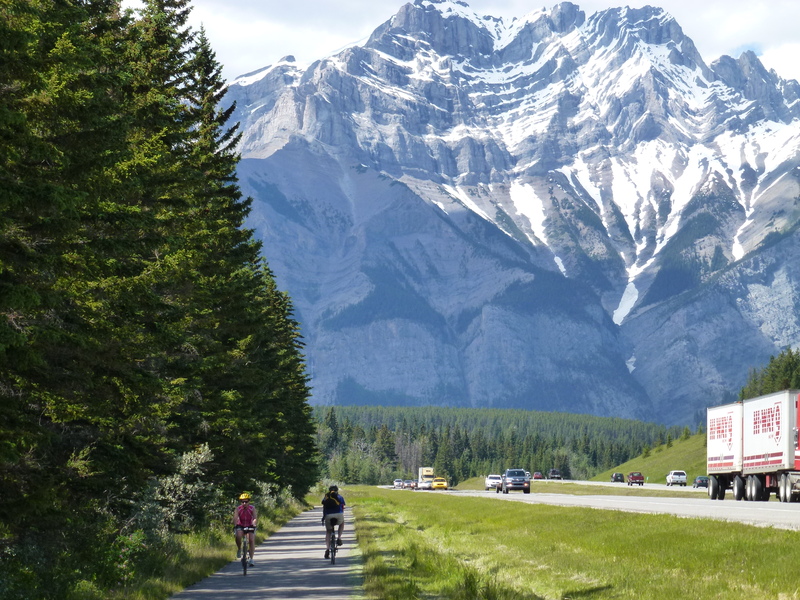 Early in July we rode the forty-five kilometre return bicycle trip along the Trans Canada Trail “Legacy” route from Canmore to Banff and back. 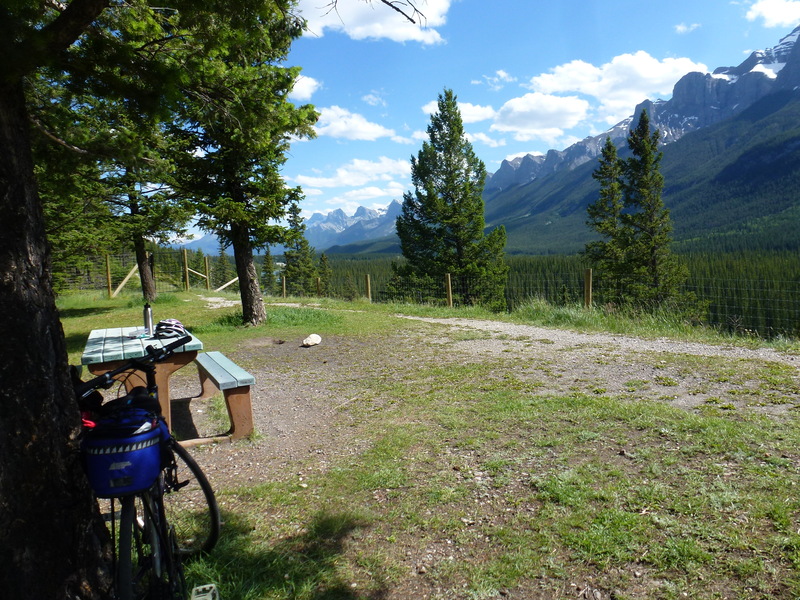 The views were spectacular and the trail is a perfect way to commute from Canmore to Banff. 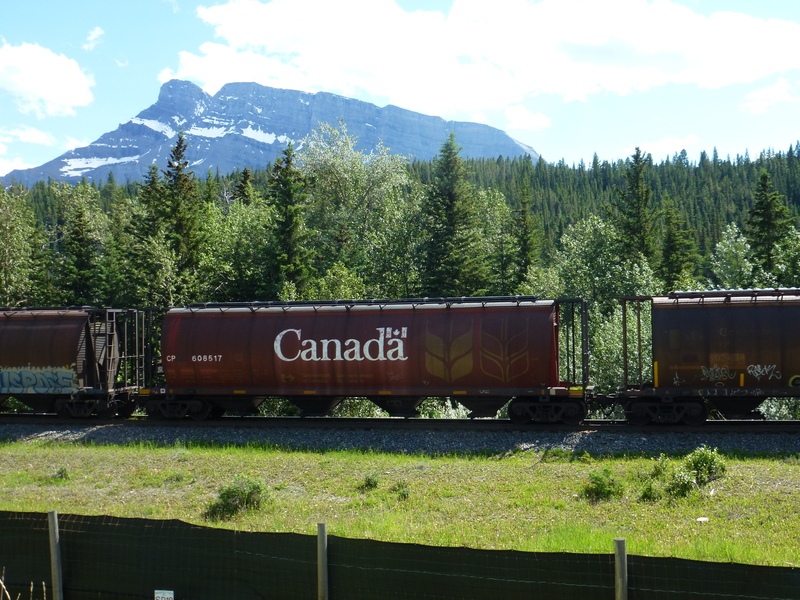 It’s gentle and paved (with a head wind going west) flanked by the busy TansCanada highway on the north side and the CN railway on the south. 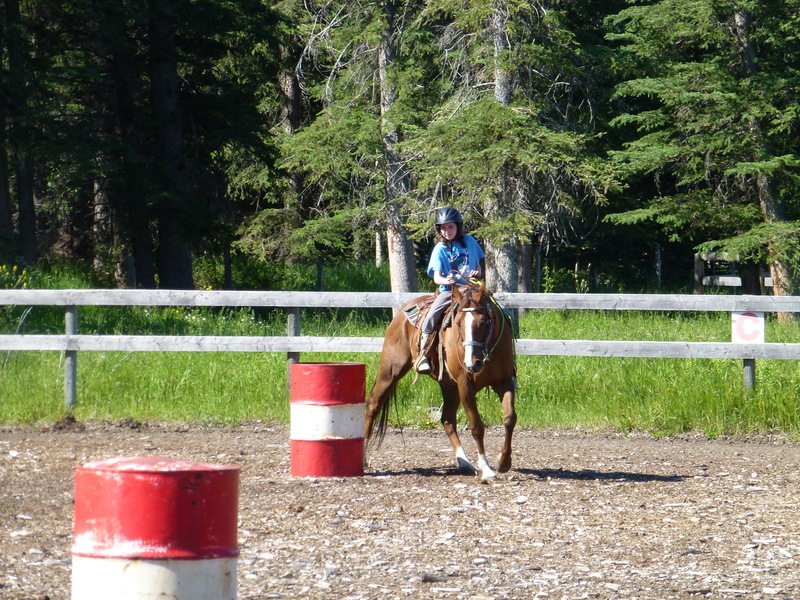 A few days later we were invited to watch our granddaughter ride in her first rodeo. 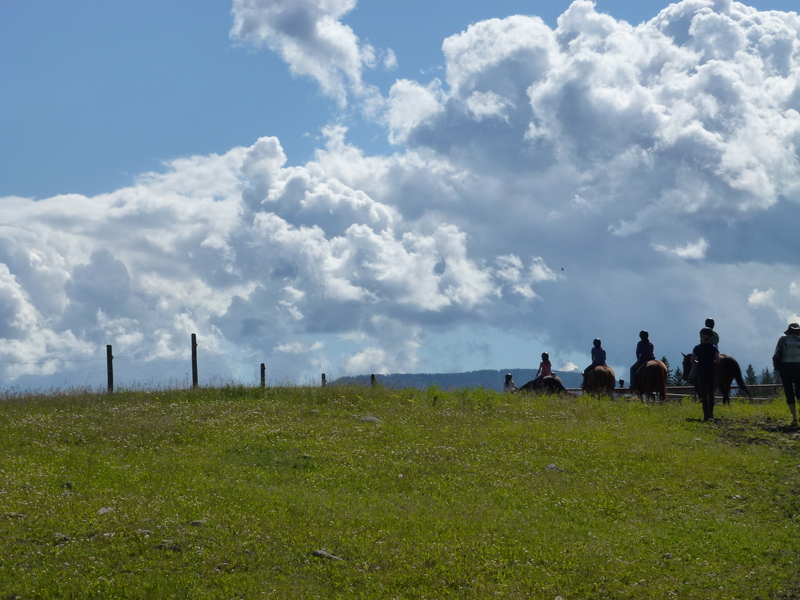 The setting in the Kananaskis was spectacular and the rodeo, especially the ladies barrel race …well lets just say it gave me warm fuzzy feelings and brought tears to my eyes. 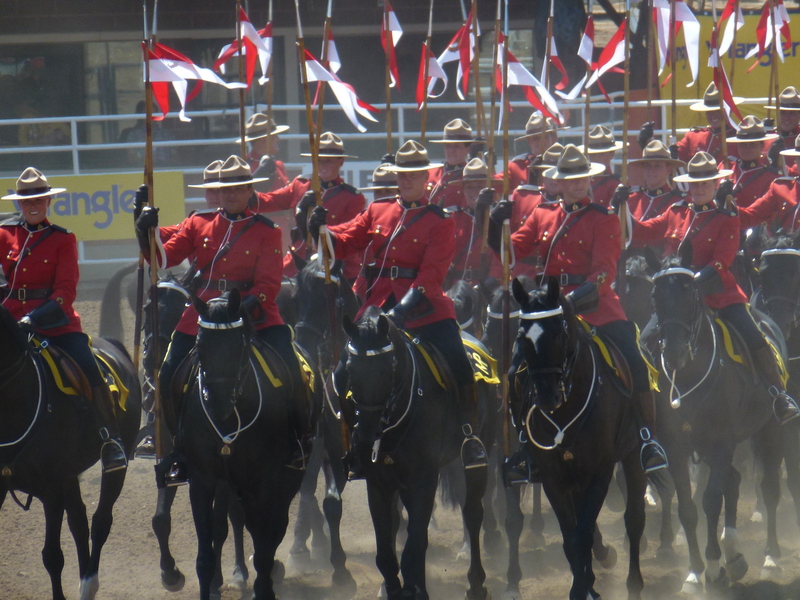 I was so proud of Ava and to live in Alberta. 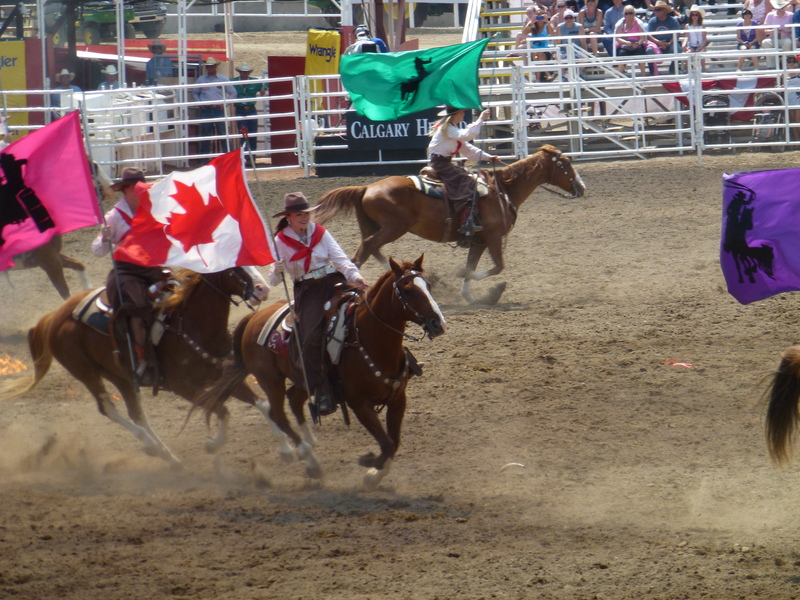 We couldn’t miss this year’s 100th Anniversary of Calgary Stampede…the big ladies’ barrel race, the RCMP musical ride, the Chuchwagon races and the Grandstand Show. Sunny days and warm breezes leave no excuse to stay at home (and edit.) 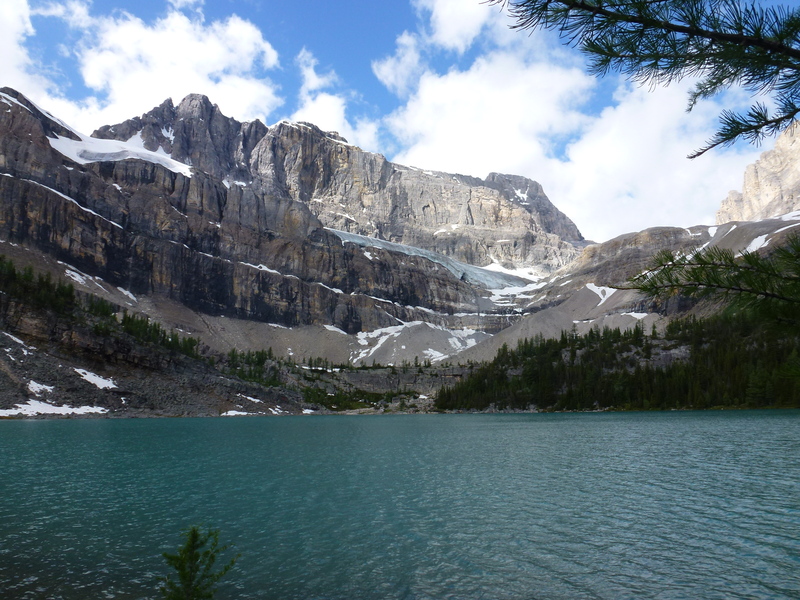 Top rated hikes for us this year have been Peter Lougheed Provincial Park’s Chester Lake, Banff National Parks’ Helen Lake, C-Cirque, Sunshine Meadows and best of all a 3 day trip into Skoki via Deception Pass and back out by Packer’s Pass. 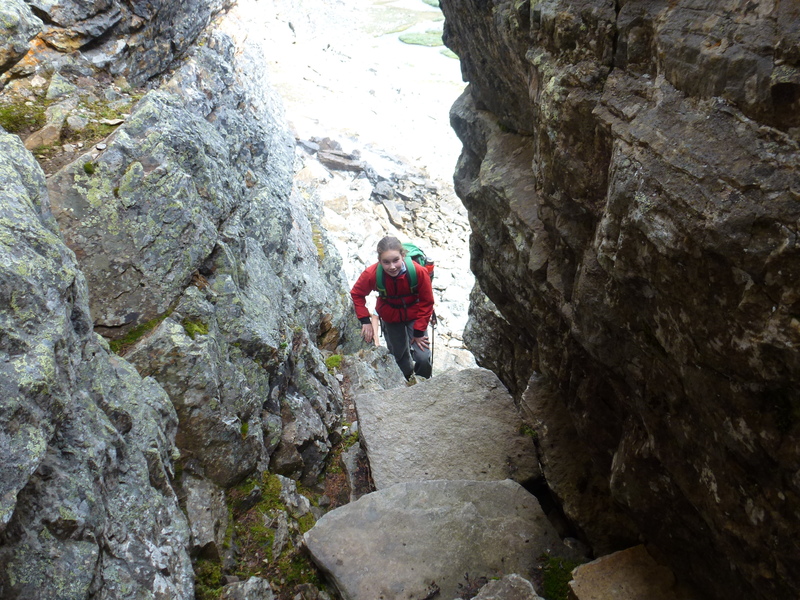 The challenge for me was the chimney in the rock but Ava (and my ego) spurred me on. Stay with me, the gorillas in Uganda will be my next diversion.